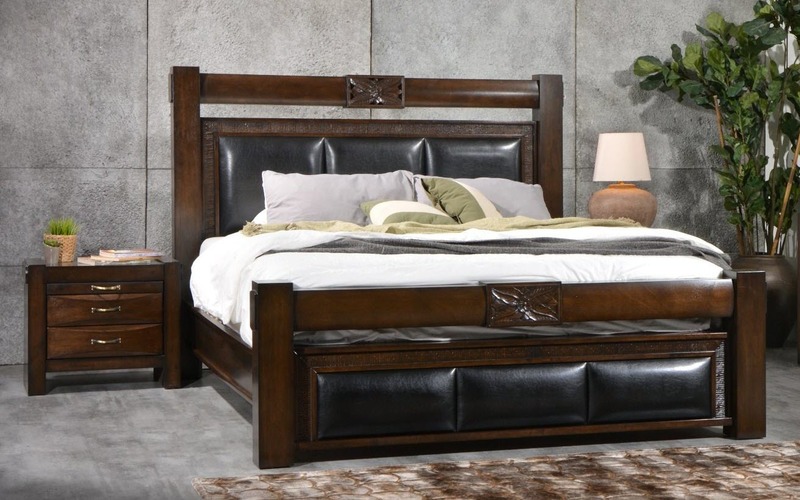 The Ballarat 3 piece Queen bedroom suite adds that touch of contemporary luxury to any bedroom, with the leatherette inlays adding that modern visual. It comes with a quality Australian made mattress and two (2) matching bedside drawers. It is made of solid rubber wood (with veneers) and would be a quality addition to any modern or contemporary style home. © 2019 Copyright RentalsRUs. All Rights Reserved .